New Delhi: Col (Dr) Bibhu Kalyan Nayak, who hails from Bhubaneswar, was recently appointed Chair of International Hockey Federation (FIH) Health and Safety Committee. He is the first Indian to have been nominated to this prestigious post and will serve a two-year term, lasting till the first executive board meeting after Congress 2020. 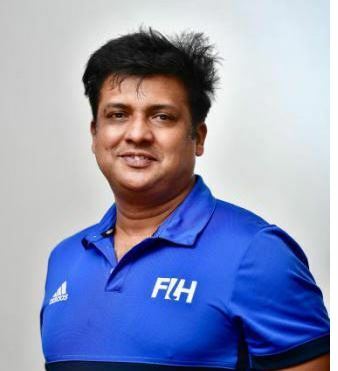 The Hockey India on Saturday congratulated Col Nayak, who has extensively trained in Sports Traumatology and Sports and Exercise Physiology from National Institute of Sports Medicine at Havana, Cuba, and National Sports Centre at Madrid, Spain. He had served as the Medical Officer for the 2018 Men’s World Cup. He was commissioned in the Army Medical Corps of Indian Army in 1995 and has worked in the Army Sports Institute, Pune, for six years and with elite athletes of the country. “I am extremely honoured that FIH has considered me for this prestigious role. As an Indian, it is a proud feeling for me. I understand it is a huge responsibility and I will be working with experts in the medical field from other countries too and I believe it will be an enriching experience. I am confident of doing justice to the role – backed with my experience of working with elite athletes over the last two decades, as well as working closely with elite hockey players during the Men’s World Cup,” Col Nayak said. He is currently with Sports Injury Centre, Safdarjung Hospital, as specialist on deputation (Sports Medicine) with a mandate to look after the sports and training-related injuries and performance enhancement of elite athletes.